This collection was designed to have a relaxed contemporary, country style. We wanted to create a range of furniture that was quite simply gorgeous, hugely desirable and versatile in its appeal. 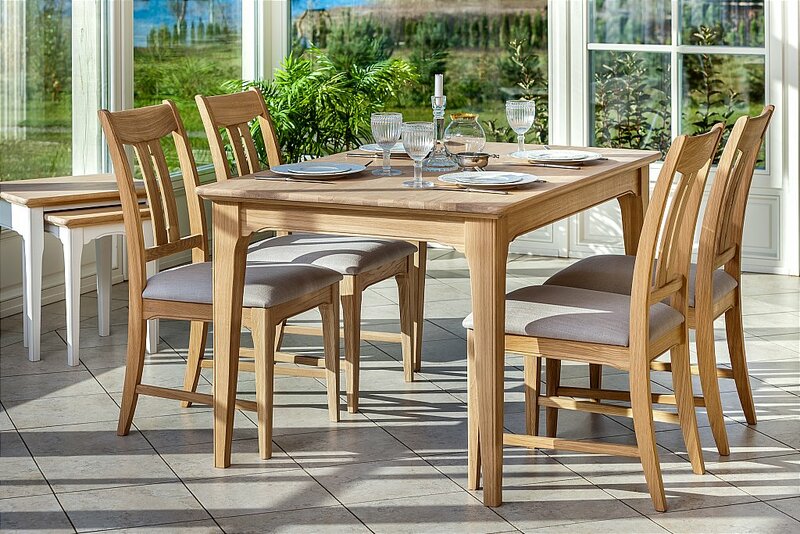 This dining range has a beautiful handcrafted simplicity, classic in its proportions and details yet contemporary in its finishes. Ideal for both those who love laid back family gatherings or smart dinner parties. It has traditionally crafted mitred profiled frames to doors and drawers and simple flowing shapes to the underframes. This is offset by the beauty of the natural grain on the solid oak top panels. 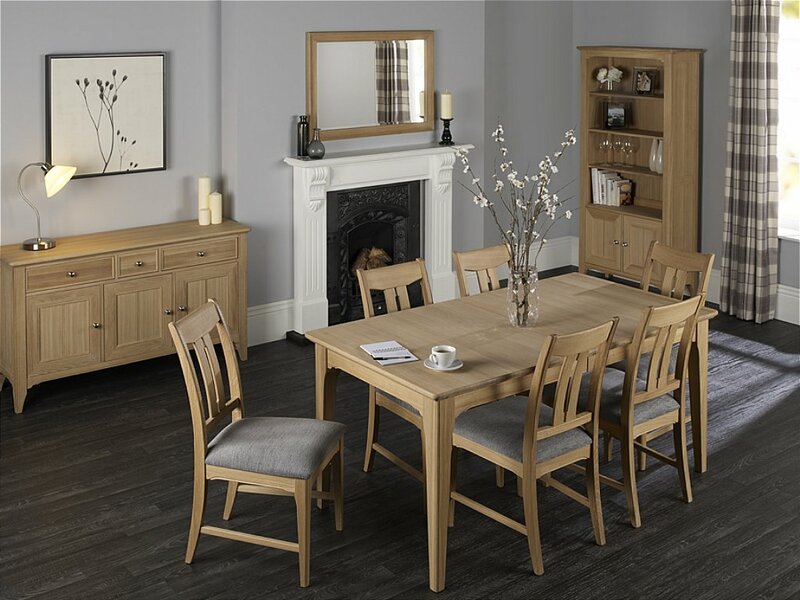 Available in oak with accent chrome handles or in the painted oak soft pastel colours with solid oak top panels. 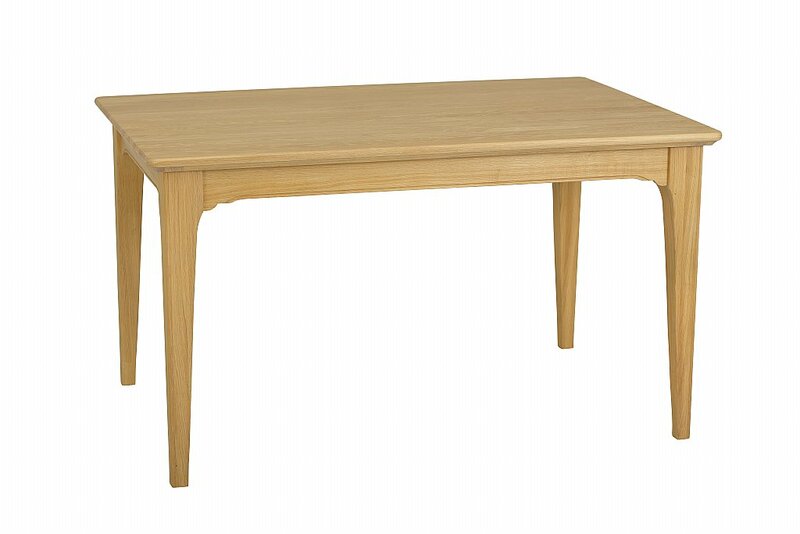 I would like more information about New England Fixed Dining Table by Stag.